Last year I was asked if I wanted to do one of a series of Teenage Mutant Ninja Turtles animated shorts, and, long story short, this is it. I’ll maybe do a longer post going into more detail about the creation of this monstrosity. This has already been posted all over the place, but I figured I’d be a completist and post it here for the four of you that still haunt this little place of mine! This entry was posted in animation, Uncategorized, works and tagged NICKELODEON, Teenage Mutant Ninja Turtles, Titmouse Inc., TMNT on July 31, 2016 by Jhnen VEE. 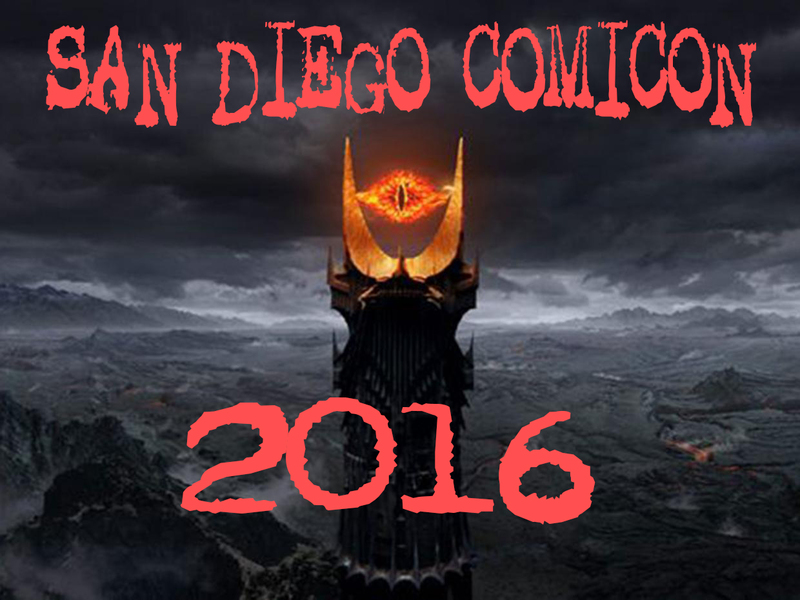 Here’s my complete list of San Diego Comicon 2016 activities! It’s been one year since the premiere of the Invader ZIM comic books, based on the popular Nickelodeon series, so join us for a retrospective of the series so far as well as hints for what’s to come! 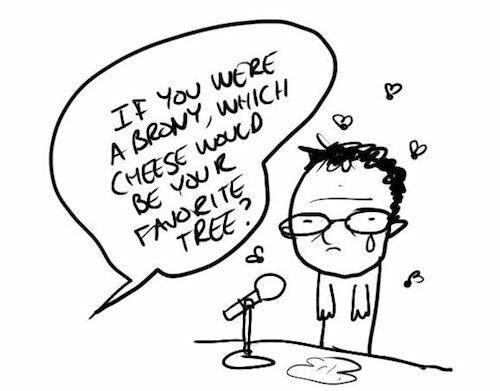 Featuring Jhonen Vasquez (series creator, control brain), Aaron Alexovich (character designer, artist), Dave Crosland (comic artist), and Megan Lawton (inker) all telling horrible, horrible secrets about the comic book series. Sunday, 7/23 • I expire from exhaustion and germs. This entry was posted in animation, Appearances, comics, San Diego Comicon on July 9, 2016 by Jhnen VEE. Here’s an episode of Bravest Warriors I wrote! Yep, it’s just like the title of the post says. Want a little more information on how this came to be? Too bad, I won’t ever tell, unless OKAY I’LL TELL YOU. I hope you guys dig it, daddios. This entry was posted in animation and tagged Bravest Warriors, Breehn Burns, sandwiches on January 23, 2014 by Jhnen VEE. I need questions to answer for a panel. SEND THEM! So I’m doing a panel for an upcoming convention (Stan Lee’s Comikaze) in a couple of days. Yeah, maybe you’ve seen me do panels before, in person or watched a shaky video of one on Youtube, so you know how it’ll probably go down. I usually just get up there and rant about video games or movies or something and people leave disgruntled and wondering why they didn’t go listen to something about Ninja Turtles. There’s always a point where fans line up to ask questions and…well, that’s where you come in. The hope is that there’ll be enough people with some decent, fairly thought out questions about my “work” that it will fill up at least 30 seconds of panel. Hell, I’ll even hazard being more positive and say maybe we’ll be able to fill 40 seconds with actual quality interaction! Yeah!! So hit that link up there, think of what you wanna ask me, then feel terrible about what you wanted to ask me and then write down your actual question that isn’t your initial question. I know, I know, the impulse is to be as fucked up as you can possibly be, but believe me when I say that the most mind-blowing thing I can imagine happening anymore is people actually just making sense. I genuinely enjoy talking my work, whether someone likes it or even hates it, so long as there’s actual thought behind why someone would like or hate it. EDIT: Thanks, everyone that sent stuff in. The panel went quite nicely and everyone was happy except for the people who hated it. This entry was posted in animation, Appearances, comics on October 29, 2013 by Jhnen VEE. I have seen the future of horror, and it is old. I don’t even know why we have Halloween anymore when I pretty much made it as scary as possible years and years ago! Seriously…give up trying to beat these chills, Halloweens. This entry was posted in animation, nonsense and tagged Halloween, INVADER ZIM, Kevin Manthei, skeleton dances on October 15, 2013 by Jhnen VEE.